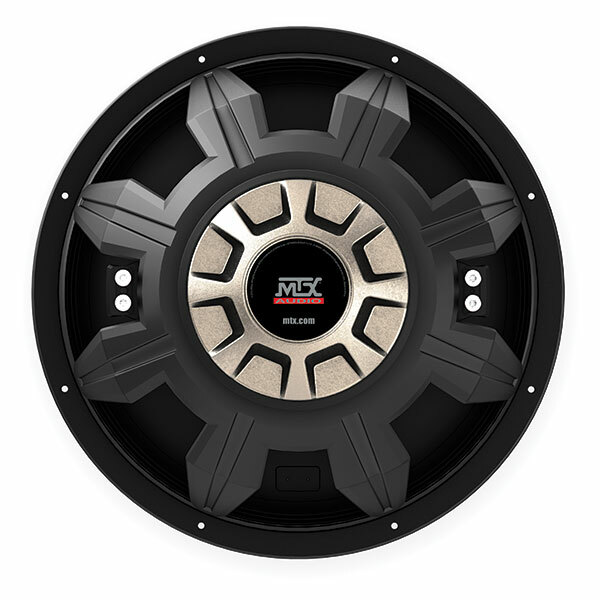 If you are not comfortable installing your subwoofers yourself, MTX recommends they be installed by an Authorized MTX retailer or car audio specialist. Be sure to verify all connections prior to system turn on. Unbox the subwoofer(s) from the product carton(s). A subwoofer needs to be installed in an enclosure to function properly. If you do not have an existing enclosure you will need to buy or make one before proceeding. Use MTX ThunderForm custom molded enclosure if available or custom enclosure. Connect speaker wire to the voice coil terminals on the subwoofe(s). Ensure your subwoofer wiring is properly connected to result in the proper system impedance and phase to match your amplifier. Then connect to the terminal cup on the inside of the enclosure. Attach subwoofer(s) to the enclosure using screws provided in the carton. Connect the enclosure to the amplifier using speaker wire. Tune the amplifier settings for the new subs. Turn the volume down before turning power on to the audio system and/or be ready to adjust volume down on power up. Check for reasonable levels to confirm proper gain settings. Readjust if necessary. Enjoy your new MTX subwoofers!